If the word truth stands for anything these days it has to be the end of suffering. Suffering is being emotional and thinking about it and is ended by right action, knowing what I am doing. Any conscious action that helps reduce the volume of random thinking and the emotion it generates. So what is the simple truth? I, ‘I’ am the truth. I in any body, where you are, is the truth. Is that difficult? I, in the body reading this, am the truth in the body reading this. I am the truth in any body. What is this truth I am? Nothing, nothing the mind can think. Then there is what I am. I am a body. Not the body in the mirror, the body inside where I know clarity or pain. The body I am is, in the first instance, the sensation in the body – also unthinkable. The way back to the truth of ‘I’ is through the sensation. When I practise this truth, by focus of attention on sensation, enough, the problem of mind, thinking and emotion, dies. Or dies enough that I don’t have to suffer from it any more. At work here is the truth what I give my attention to lives, the rest dies, dies enough that it’s not a problem any more. It’s a gradual process of negation. This practise of truth I am in the body, the sensation, is always done now, not tomorrow. It is the sensation in the body now, feel the tingling or pressure inside the hands (for instance). That’s it, and this is now. So, there is the problem of mind, thinking and emotion. And there is the solution, or truth, the being of the sensation in the body that leads to clarity, or peace of mind. It’s that simple. Another word for the realisable reality behind this is love. I am not special. This is something anybody who has suffered, and recognises the need for, can do. It’s just a question of willingness, willing to give up the habit of mind. Do you see the need for peace of mind? I can show you how to do it, because I have done it by the same means, someone helped me. Is this something you want to do? What is your experience now, peace of mind or suffering? Do you have a truth you live now? Do you have a problem with anything I’ve said here? Have you ever recognised your inner reality reflected in your circumstances? It’s up to you how deep we go here, I can only respond. Do you have any questions? No question is insignificant and I will respond to every one. Anyone want to kick off and see where this goes? Mark you have beautiful photos of insects. I sense your close ups of the smallest things in life is somehow symbolic with your words. thanks. Everything is symbolic if you can see it, isn’t it. You (I) make the connection inside intuitively, a sense of one thing reflecting another, the outer the inner, though to appearances they are different. 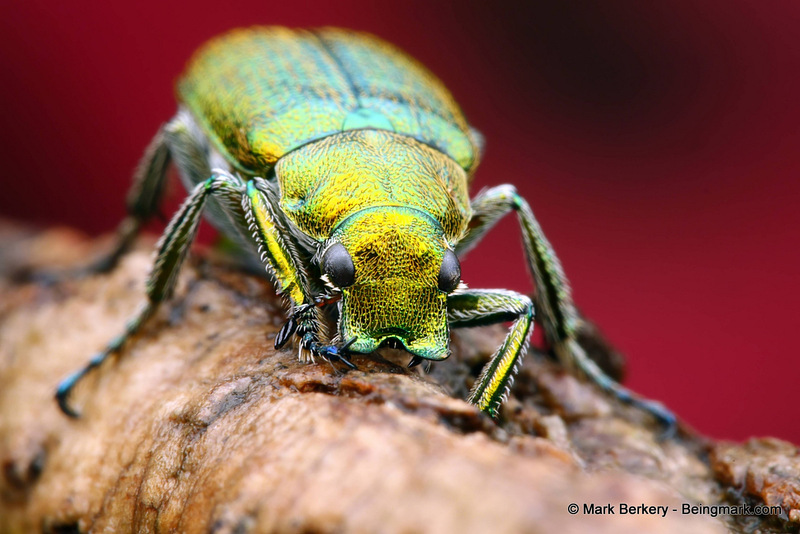 Thanks … The details of your insects reveals the intricate beauty of our smallest neighbors. We don’t see them quite like that do we, with all those colors so carefully arranged. Easy to ignore until you really see. And once you see them like this they are even harder to overlook. Theirs, ours, is a truly magical earth. Pain, chronic pain 24/7 is what gets in the way of peace, joy & action for me. I also have not yet learned a technique that shuts the ego up, that stops the headache, the muscle aches, the heartache. Every word every guru has written is understood but what is it I can do to heal the pain. Nothing? This is known. Stillness, mindfulness, meditation, acupuncture, yoga, Reiki training, martial arts training, music, not thinking, action? Yes, all of these, combinations of these, none of these? Done. Yet, the pain is there in the morning, all day and as I close my eyes. Help is welcome. You say you have done it all but your life isn’t done yet. Chronic physical pain probably requires pain killers? I know the right pain killer at the right time in the right dose helps, from my experience. If you’ve got physical pain that’s (a part of) your life and you can probably reduce the extra pain mind makes of it by accepting your life as it is, and not giving in to thinking and emotion about it. It’s not easy but practise of right meditation makes it easier, like practise of anything makes it easier. Take enough pain killers for enough pain and focus on the sensation, be in nature. Do what you can. And science isn’t done yet either, with physical pain relief. There’s still the possibility of effective treatment for you, though I wouldn’t hope for it I would do everything in my power to get the best available. What else can you do? You can use the sensation of pain, or any sensation, to give up the emotion and thinking about it. With uncommon persistence that will lead to peace of mind, eventually. Possessing a mind, with thoughts trying to label and comprehend the outside, is but only a side effect of choosing a physical experience. We are not our thoughts, we reside deeper than that. We have come here to observe, avoid attachement. Or the ego shall conquer. Well, I would put it another way. Thinking is a problem since it always stirs emotion which always stimulates thought. A vicious circle of minding that spirals into unhappiness and eventually madness. But you can’t get out of it until you know it for the fundamental pain it is. Then there is a possibility of real change. This was a cool blog to read, it was interesting and I couldn’t stop reading it. I like how you explained what you thought about insect life and how i look at it differently now. Thanks for sharing your point of view on insect life. What changed, and to what? It would be interesting to know. Thanks Mark. Yes, what you’ve shared makes sense. I’m reminded of my gestalt therapy training, and I guess the key words for me are ‘awareness’, and ‘practice’. I like the image of the rocket overcoming the pull of the earth! You can’t go wrong then, as long as you practise right … There is no wrong anyway, just doing and learning or un-learning. Interesting post! I think my ‘peace of mind’ stems from a sense of harmony in relationships/environment, or when contemplating/being mindful. My ‘suffering’ usually comes from a feeling of having said or done something, that hurts someone else; or from a sense of shame, i.e feeling ‘not enough’, foolish, or a disappointment to myself/others. Suffering, as feelings of the kind you relate does get in the way of peace of mind. The best course I have found is to let the feelings go as much as possible, by not thinking about them and taking what action is necessary to realise peace of mind, or clarity. I find clarity in the sense of being now that comes from having focussed enough on the sensation that I don’t identify with my emotions by thinking about them. If an emotion persists it either necessitates further action, that will be communicated by holding the fundamental feeling of the emotion, without thinking about it. Or holding it this way until its ephemeral nature is revealed. It, the emotion/s, can’t last unless I believe in it. I trust that makes sense? Or is your experience different? Thanks Mark. There is a lot of wisdom in your words, though not always easy to live out. For instance, staying with sensations, can still trigger an inner critic for me, e.g if I blush because something has triggered a sense of shame. I guess there is a trigger then for other memories that may still be carrying unprocessed feelings. It is something I am more aware of though, and remember the story of the two Buddhist monks: on encountering a young woman who was unable to cross the river, the senior monk carries her over to the other bank. As they proceed, the younger monk criticises the older for having touched a woman. To which the senior replies, ‘are you still carrying her, I left her behind on the bank’! A good illustration of the practise of being, that ; ‘are you still carrying her’. Not always easy to live it, as you say. But it is simple, isn’t it, to focus on sensation. Sensation being the tingling or pressure in the hands (for instance), focus being attention directed. The practise of focussing on sensation is always now, there is no other time really. And for it to be, as long as there is the need, there has to be something to practise on by negation. It’s the way of things that thought and emotion will present as some form of pain or discomfort for you to negate or dis-identify with, because you can’t dis-identify with pleasure, in my experience. So thought will come until it doesn’t. The key is not to think any more than necessary, and self judgement (the critic) – I can’t do this, this is too difficult, I am no good – is just another form of thinking. If I see a thought come in it stops right there and I am being, as long as I don’t let thinking run on by association, one thought to the next. If it’s something I need to think about or act on I do that and there is no more reason to think about it and focussing on sensation becomes easier. Are you sure that’s sensations you are staying with that triggers self judgement or emotion and not emotion? While I am focussed on sensation a thought or image may come in but that is just the momentum of mind to think, from long established habit and the force of reproduction (life) behind it. But it isn’t triggered by the sensation. It can be triggered by the emotion though, as it is often stored around the body unresolved until you get down to it. This emotion stimulates thought as thinking stirs emotion – one the reciprocal of the other – until the emotion is consciously faced by denying it the stimulation of thought. There is always a trigger to think by association, with something in or outside, a feeling or a sound … The way to stop it is to be present before the triggering occurs. And that is done by practise. Every time you don’t go with a thought and come back to the sensation you speed up a little, really the weight (of past as emotion in the psyche) that slows down your intelligence is reduced, as separation occurs. Just as the rocket exerts great force to overcome the pull of the earth and then the moon to enter gravity free space. It was very intresting questerings you have and I don’t now what I shal answere. But I have something to think on. But it is a lovely Beat. Thanks for your comment Annemor. Even where the language is strange the essence of what is acknowledged is present. So it is still possible to receive that. Google – translate does a decent job on the words sometimes. Here https://translate.google.com/ if you enter the words you want to translate in the left box, then click on translate over the right box, you get a decent translation. Här https://translate.google.com/ om du anger det ord du vill översätta i den vänstra rutan och klicka på översätta över högra rutan, får du en anständig översättning. See if it works for you? Se om det fungerar för dig? Feelings come over to me, without thought. I have strong feelings for children and animals. Feelings can be strong, and we have to go through them, or they through us, then they end, the sooner if we don’t think too much about them. And it’s back to equilibrium, no up or down, high or low emotion. With practise, of right exercises, this equilibrium can be realised consciously. Adults/people can be what is called evil but it is important to acknowledge the good inside my own body. The simple sensation or clarity of being without a problem. And that way keep from being overwhelmed. Don’t you think? Today is a lovely sunny summer’s day with a good strong cool breeze. No dust will settle in this old house today.